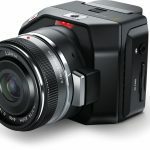 Blackmagic Design’s other new micro camera, the Micro Cinema Camera is a digital film camera with an expansion port that allows for the use of a wireless remote, making it perfect for use with a drone. 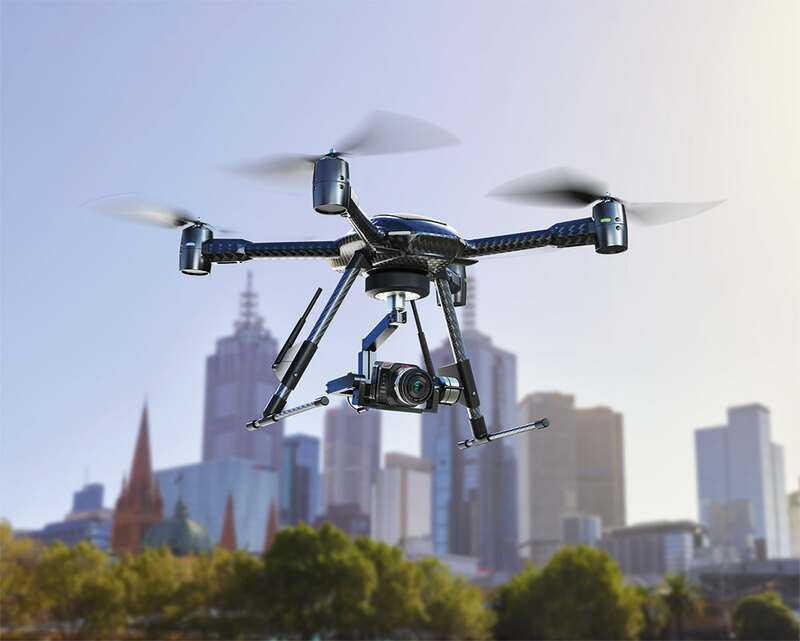 NAB 2015, Las Vegas, USA – April 13, 2015 – Blackmagic Design today announced the Blackmagic Micro Cinema Camera, a miniaturized Super 16mm professional digital film camera with a revolutionary new expansion port that lets customers use PWM and S.Bus model airplane remote controls to operate the camera wirelessly for capturing action anywhere. Blackmagic Micro Cinema Camera is available in July for $995 and will be demonstrated on the Blackmagic Design NAB 2015 booth at #SL219. The unique feature of this new camera is the built in expansion port that provides access to many of the camera’s unique functions via common remote control solutions such as radio model aircraft remote controls. The expansion port features PWM and S.Bus connections that are used on model aircraft remote control gear for connecting to servos to control the aircraft. These radio control receivers are low cost because they are consumer hobby products and they feature multiple “channels” that can be connected direct to the camera itself. This means these channels can be mapped to any camera or lens setting in the camera and then remote controlled via the radio controller. Customers can then remote control features such as iris, focus, audio levels, and start and stop recording all remotely. Because a standard easy to solder DB-HD15 connector is used, even simple wire cables and switches can be created for controlling the cameras. 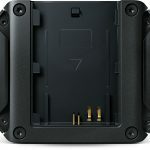 The expansion port also includes composite video out with overlays so the customer can use the same low cost video transmitters to get real time feedback from the camera for framing, confirming camera settings and to see the state of recording. Being able to start and stop recording and see confirmation of recording is vital in a camera that features a built in RAW recorder as then customers won’t fill the recording media with useless content and will only record the shots they need. ocean floor to the stratosphere or beyond. 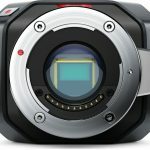 The Blackmagic Micro Cinema Camera has been designed to overcome the limitations normally associated with producing extreme shots on DSLR and other small consumer action cameras. 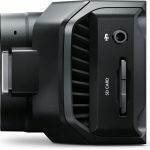 Unlike these consumer cameras, the Blackmagic Micro Cinema Camera features a global shutter that exposes the entire image at the same time so customers get pristine, full 1080 HD images. Plus, the built in recorder saves lossless 12-bit log CinemaDNG RAW and broadcast quality Apple ProRes files, both of which can be easily edited and color corrected with the included DaVinci Resolve Lite for Mac and Windows. 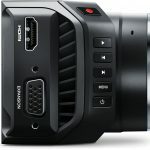 The Blackmagic Micro Cinema Camera delivers truly professional, crystal clear digital film images that are distortion and ripple free when the camera pans, moves or vibrates. Features built in 12-bit RAW and ProRes recording and captures true digital film quality images. Features an active Micro Four Thirds lens mount. Easily adaptable to other lens mounts. Includes built in buttons along the front to quickly and easily change settings. Includes an expansion port with a DB-HD15 connector and breakout cable.